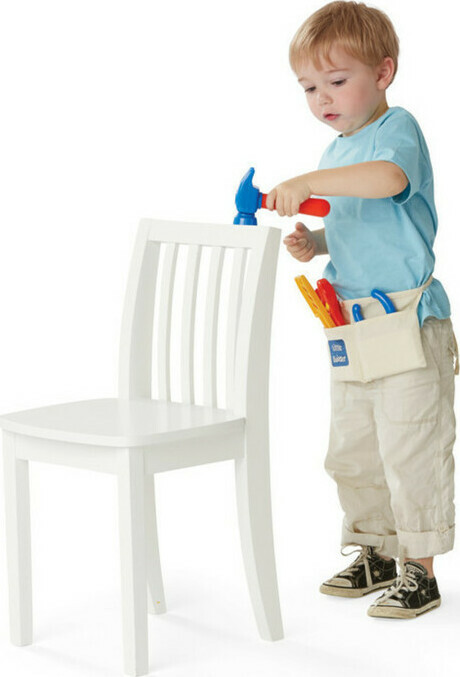 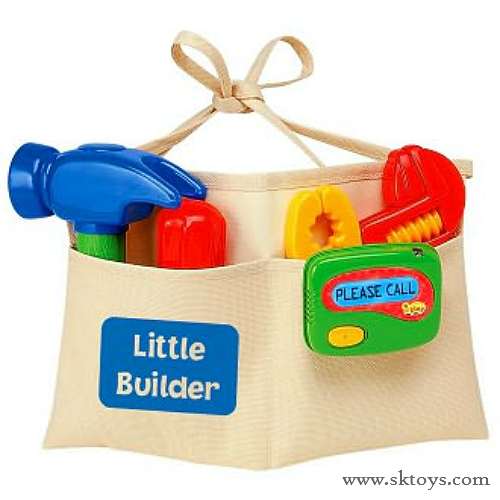 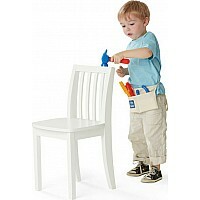 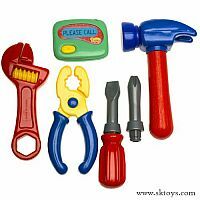 Help mom and dad around the house with these fun building toys in Little Builder Tool Belt! 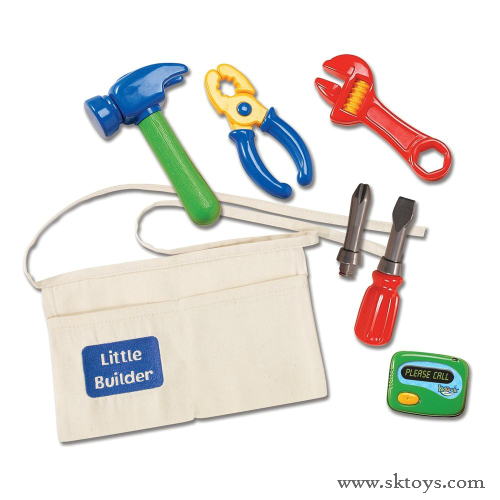 This sturdy canvas kids tool belt from International Playthings features two easy to use pockets on the front that holds a pretend play hammer, pliers, adjustable wrench and screwdriver with two bits! Also included is an electronic beeper for the busy builder! Measures approximately: 8.75 x 2.25 x 6.50 inches..